The Planetary Crater Consortium (PCC) formed in 2010 from the merger of the Mars Crater Consortium (MCC), Lunar Crater Consortium (LCC), and Outer Solar System Crater Consortium (OSSCC). 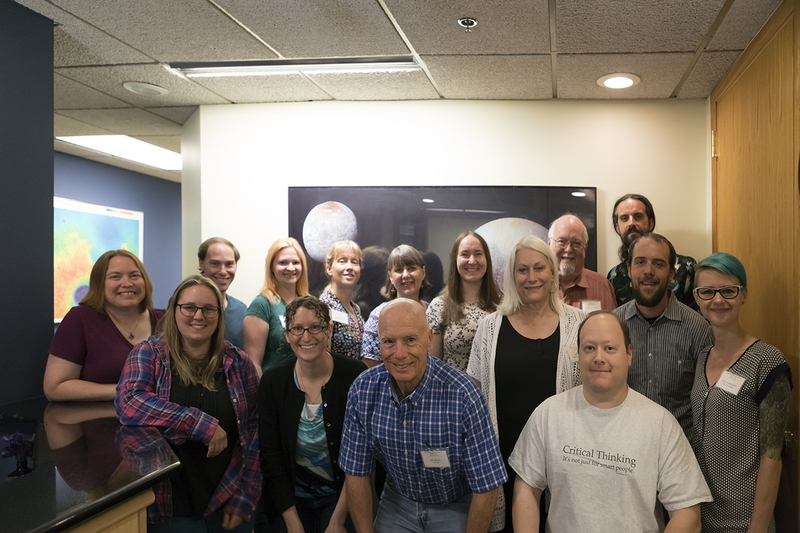 The PCC is open to planetary scientists interested in any aspect of impact cratering on solar system bodies (planets, dwarf planets, moons, asteroids, and/or comets), including observational, theoretical, experimental, and numerical modeling studies. The annual meeting is designed to encourage and provide adequate time for in-depth discussion of crater-related issues and research topics to enhance research collaborations. NOTE: EARLIER ABSTRACT DEADLINE!! To allow for more time for people to plan for and get approval to attend the meeting, the PCC Executive Council has moved up the abstract deadline by several weeks. This year's abstracts are due Monday, June 24, 2018 5 PM MST/PDT (2 page, LPSC style, PDF format emailed to Nadine Barlow).